Can I clone my OS settings? Can I install my own OS? Yes, and yes. We love your questions and have decided to bundle some of the most common ones here for those of you who want a quick answer. Here are six of the most common OS-related questions our customers have wanted answers to. Most of these answers, and many more similar ones, are already in our knowledge base. More QA articles will also be coming soon. What questions do you have? Drop us a line any time, or open a support ticket, and we’ll add the questions and answers to our next blog post. 1. What kinds of OS do you offer? Do you have (OS Version X.X) or AwesomeOS? You can check what Operating System templates are available by going to the order form. New OS Templates or template version updates are also always posted regularly at our Change Log page in the Knowledge Base. At this current time, here is a full list. But you should always take a look at our Order Form (see A above) for the latest list, or send us a support ticket to check on any OS that you need. 2. You don’t have “My Preferred OS.” What can I do? We’re always adding new OS templates. If your preferred OS is not on our list, open a support ticket, giving us the details of the OS, and, ideally, the page to its documentation and a download link, and we will respond to let you know if we will be templating it for you. We should normally respond in less than a day. Most of the time, we should be able to set up the OS template for you if the OS is a standard one. 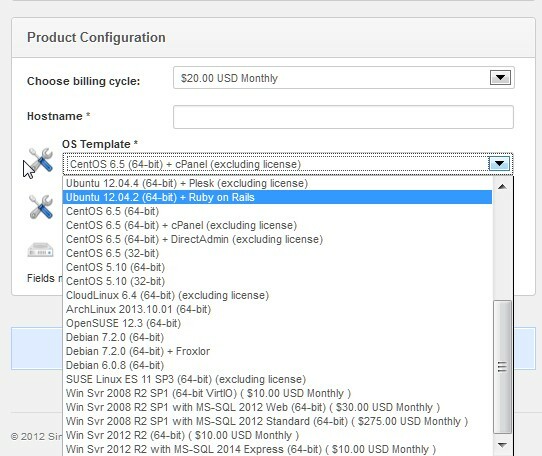 Once it is templated, you can order it normally off the OS Template menu when you purchase the servelet. For Windows OS Templates, additional fees might apply. If it is not a standard OS, we may load it up for you so you can install it yourself – Please see (3). 3. Can I install my own OS? This is for if you already have a custom-hacked OS that you are comfortable with, or if you need an OS that we cannot template for you, for any reason. In these two cases, we will download and load the OS for you, attaching it to your servelet, so that you can boot up with the new OS. What you would need to do first is purchase the servelet, choosing any free Linux OS template, then open a ticket with the link to download the OS you want us to load for you. It would be great if you discuss what you need with us first by writing to info@simplercloud.com or just opening up a ticket beforehand. Do note that we’ll do our best to support you with this, but ultimately cannot guarantee that custom OSes will work with our Cloudstack configuration. In other words, your custom hack may not work. The best thing is to let us know what you want done first, before purchasing anything. 4. Can I package, clone or template a servelet so I can order the same configuration easily? Yes. If you have multiple servelets that you have customised, either in terms of settings or applications, you can order the same instance or same servelet, exactly customised. We’ll template your server settings for you so you don’t have to order and start from scratch. Go ahead and give us your VM details in a support ticket and we will clone an order form for you so you can order this configuration repeatedly. 5. How do I rebuild my servelet OS? Here’s the Knowledge Base section with the relevant details. There’s no need to cancel and purchase a new servelet if you need to re-install your OS. Use the “rebuild” function instead, allowing you to rebuild your servelet and retain the same IP address. This function will destroy the existing OS and rebuild it with the same OS, or a different OS of your choice. All servelet data will be destroyed during the reinstallation. More details on rebuilding with a new OS. More details on rebuilding with the same OS. 6. How do I upgrade my servelet? You can upgrade your servelet in real-time without any data loss. Simply stop the servelet first, then select the plan to upgrade, and then start the servelet after the upgrade. Please check out the full instructions in this knowledge base article. Important Note: Please make sure you stop your servelet before upgrading. For servelets running Windows OS, you might want to gracefully shut down your Windows servelet from RDP or console (which will eventually stop the servelet) to ensure that there’s no data corruption. If your upgrade fails, the most common reason is that you did not stop the server before you initialized the upgrade. If this happens, open a support ticket and we will manually complete the upgrade for you. 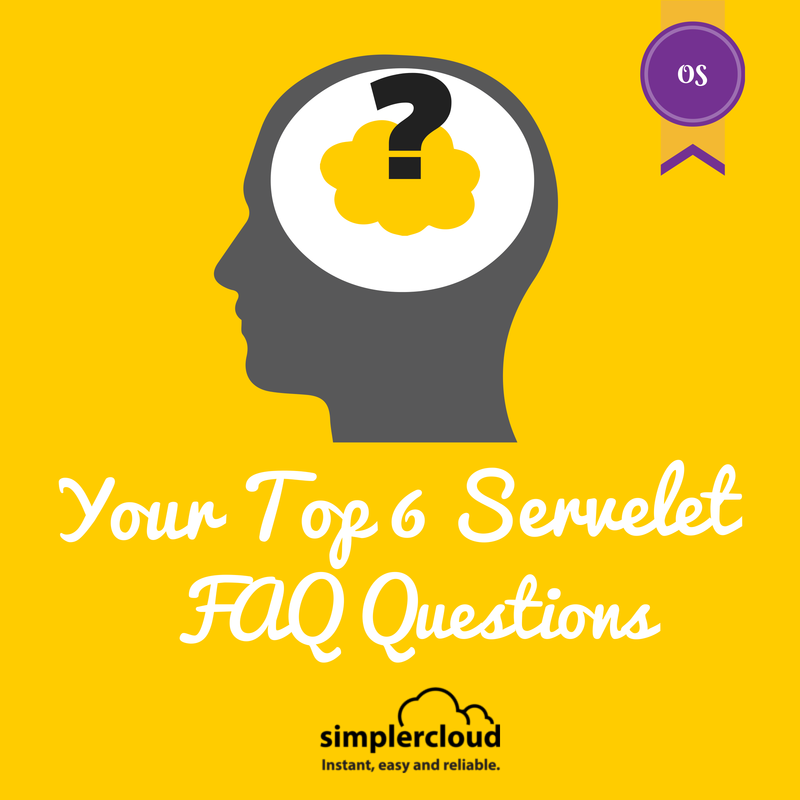 OK, so these are six of the most commonly asked questions about servelets and OS. Do you have a question for us? Send it to us at info@simplercloud.com, or open a support ticket through your account with us and we’ll get back to you soon. This entry was posted in Guides & How-tos, New, Services and tagged IPs, OS, Rebuilding your OS. Bookmark the permalink.